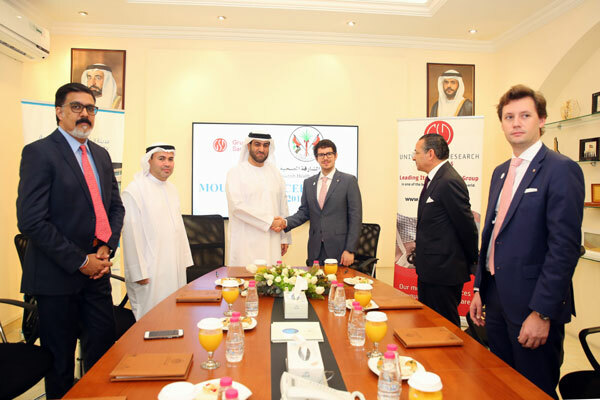 Sharjah Health Authority (SHA) and Gruppo San Donato (GSD) have signed a memorandum of understanding (MoU) that will help shape the healthcare landscape of the emirate. The agreement will help foster cooperation from the largest healthcare organisation in Italy and Sharjah Health Authority. With 16,894 employees, Gruppo San Donato will help associate with the various healthcare initiatives in Sharjah and support in attracting investments into Sharjah Healthcare City (SHCC). Commenting on the agreement, Abdullah Al Mahyan, chairman, Sharjah Health Authority, said: “The MoU is another step in fulfilling our commitment to deliver quality healthcare services in the emirate of Sharjah. With the help of Gruppo San Donato, we aren’t just strengthening the ties between our two great nations but also gaining the expertise and technical know-how of one of the top healthcare organisations in the world. The association with GSD will help us achieve the vision set forth by the Sharjah Health Authority and confirm Sharjah’s position as a leading healthcare destination in the Middle Eastern market." The MOU was signed between Abdullah Al Mahyan, chairman, Sharjah Health Authority and Paolo Rotelli, president, Gruppo San Donato. Under the MoU, both the SHA and the GSD will cooperate by transferring knowledge, technology and best practices in the field of healthcare. GSD’s association with the hospitals in Sharjah will result in replicating top-quality healthcare standards among the providers. A direct result of the MoU will be an increased participation and investment in the ambitious Sharjah Healthcare City (SHCC).